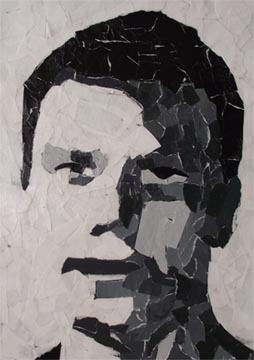 As a short-term project, students created torn paper self-portraits. A picture was taken of each student and it was abstracted in Photoshop using the cut-out filter. This filter breaks the image down into specific values and students chose the number of values that gave them the look they desired. 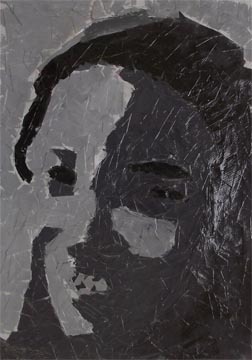 After printing their pictures, students mixed black and white acrylic paint to create similar values on pieces of paper. They placed a transparency over their picture (which was backed with cardboard to keep it rigid), tore each value-toned paper into small pieces and glued the pieces directly onto the transparency. 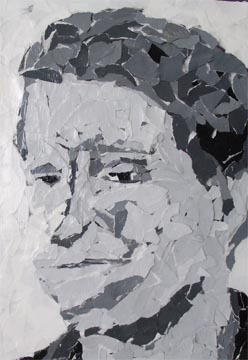 They applied a coat of Mod-Podge over their finished portraits to secure any loose pieces of paper. To extend this project--or to make it more challenging--have students draw their abstracted portraits on a sheet of paper. 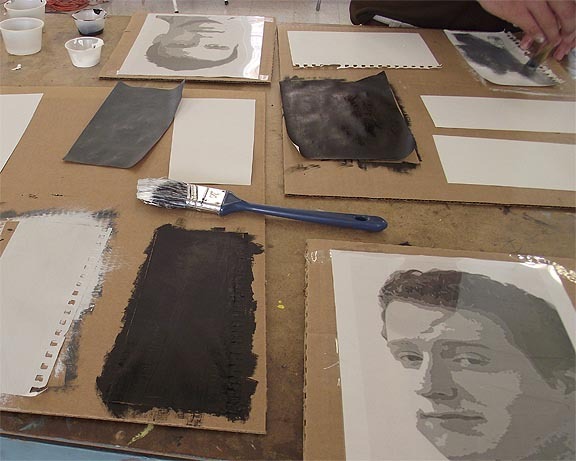 While this method would take longer, the portraits would be created on paper instead of on a transparency, and the size of the finished portraits could be increased.